An anthropologist, an earthquake and a codex lead to a complex story of suspense. 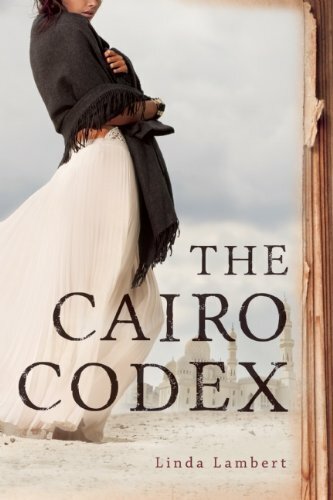 Dr. Justine Jenner, the daughter of an Egyptian beauty and American archeologist, returns to Egypt to assume a position with the UNESCO Community Schools for Girls, but is soon sidetracked by discovery, violence, kidnapping, burning churches, and murder. Trapped in an ancient crypt—a former cave and home of the Holy Family—during a violent earthquake, Justine discovers a codex that is determined to be the diary of the Virgin Mary. Transcribed diary entries throughout the novel reveal Mary’s sexual life with Joseph, Jesus’ twin sister, the influence of a young Indian Buddhist on the future practice of Jesus, Jewish life in ancient Egypt, and the real reason the family left Palestine. These revelations are so provocative and dangerous that they set off a series of actions, primarily by the Muslim Brotherhood, to keep the mysteries from coming to light. Justine falls in love with two Egyptian men, one who betrays her. As a strong feminist, she yearns for freedom, sexual awakening, and an Egyptian identity, yet is discredited and expelled from the country she loves.